I like the KAI necklace. I like the Fitness collection. I would like to try their fitness shorts or a jacket. loving so many of the dresses, too hard to pick just one! thanks for hosting! I love the Bookworm dress! It's gorgeous! I am loving the Heart of Me wrap dress! I love Shabby Apple! I think that the Racquet Club dress is my favorite. I like the Dorm Room Blouse and the Sparkling Water Earrings!! Cute stuff! LOVE the Nest maternity dress. I am loving the Serenade dress! Beautiful!! I LOVE the Quiet Stars bathing suit. I don't shop for bathing suits anywhere else besdies Shabby Apple! Love the Garden Isle dress and the Twin Palms dress. Both perfect for upcoming baby shower and events! I love so much of their stuff... it's hard to pick something! If you're going to make me pick, I like the Yellow Days dress. (And I like SA on FB). Thanks for the great giveaway! So many cute things! My favorite right now is the Sophia necklace! I love the With Honors dress. Great for a summer work outfit! love the Dorm Room blouse, especially with the coral jeans! and love the Desert Modern dress - super comfy. I adore the Da Vinci dress! 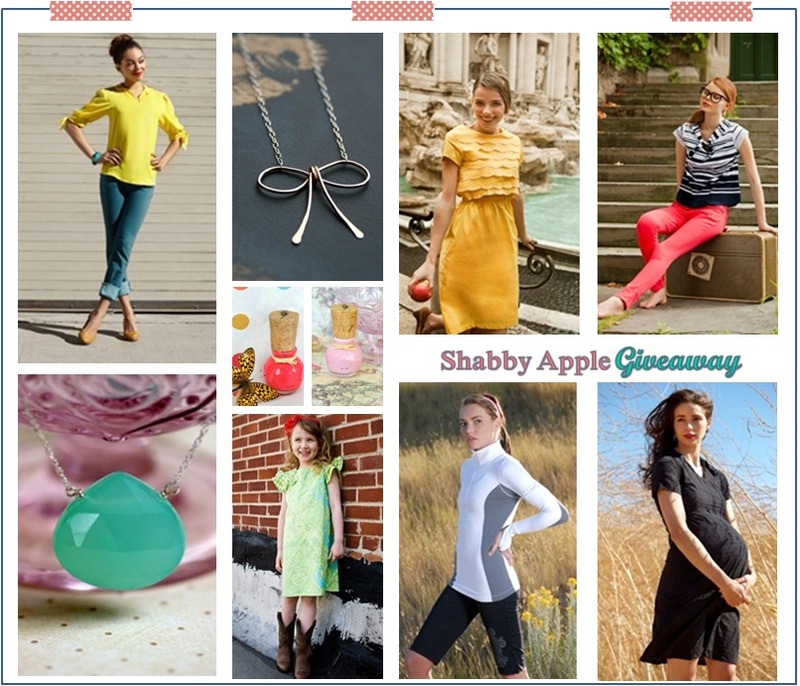 I also like Shabby Apple on FB. My favorite is the Ballerina dress!! So hard to choose though. Great giveaway! I really like the summer cap sleeve dress. Simple but so cute.